Belfast is easily accessible by land, air and sea. Picture courtesy NI Tourist Board. 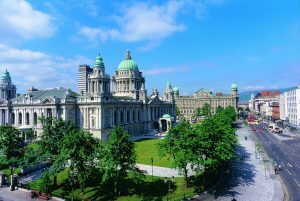 Designed by Alfred Brumwell Thomas, the home of Belfast City Council, built in Portland stone, Belfast City Hall was completed in 1906.